Are you dealing with an addiction to opioid painkillers? You’re not alone. We’ve all heard it on the news: opioid addiction is on the rise across the country, causing thousands of deaths every year. If you or someone you love has a problem with opioid dependence, you should now that withdrawal can be dangerous. Death from opioid overdose has increased 500% since 1999. Every day, more than 100 people in America die from opioid abuse. Rates of opioid dependence are also increasing for teens and young adults. If you notice that your friend or loved one is losing weight, depressed and withdrawn, “checked out” from activities they enjoy or has lost their job, it might be time to intervene and seek new treatment options. There are options for treatment including medication-assisted recovery. We’ll go through the benefits of opiate addiction treatment drugs and give you a link to a substance abuse treatment center. Opioids are a type of drug that derive from the poppy plant. While some medications come from the poppy flower, there are also some illegal drugs like heroin that cause severe addiction. Other opioids include Vicodin, OxyContin, Percoset, Opana, Morphine, and Fentanyl. While there is often a medical reason to take these pills, there are thousands of Americans who abuse them on a daily basis. Common signs of abuse are taking the pills too often, taking someone else’s prescription drugs, or taking the medication to get high. People addicted to opioids might crush up their pills, snort them, or inject them intravenously. Opioid addiction can cause people to lose their jobs, their families, or even their lives. If you know someone who is struggling with an opioid addiction, it’s vital to get them into treatment as soon as possible. What Effects Do Opioids Have on the Body? Part of the reason that so many patients seek counseling for opiate addiction is the terrible side effects the drugs have on the body. Misusing opioids can cause nausea, confusion, sleepiness, and constipation. One major problem with opioid abuse is that patients start to breathe slower, which can cause brain damage or death. Another problem with opioid addiction is that scientists don’t know much about its effects on people’s brains. Can medical professionals reverse long-term oxygen deprivation? They still don’t know. People who are older or who have chronic illnesses are more likely to abuse opioids. Experts say that older people have a slower metabolism that may not break down the drugs in an efficient way. Finally, people who share needles may be at a greater risk of contracting HIV and other sexually transmitted diseases. While some people are able to quit taking drugs “cold turkey,” without the intervention of medical health professionals, thousands more turn to medication-assisted recovery. 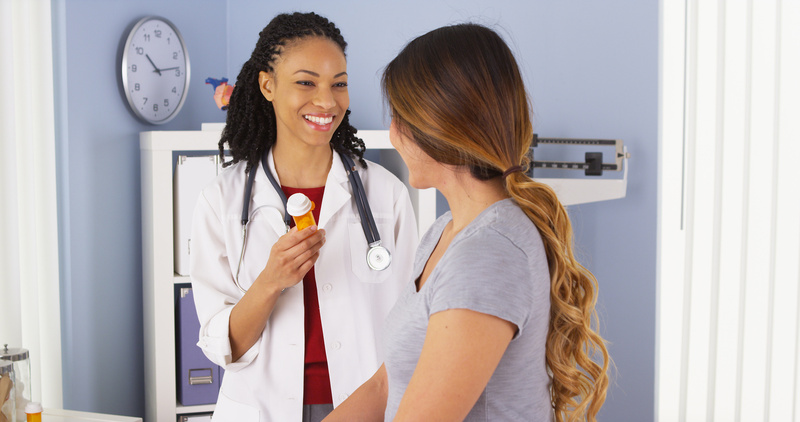 Medication-assisted recovery is also known as MAT or medication-assisted treatment. It combines a medication regimen with behavioral therapy to reduce cravings in opioid addicts. MAT decreases instances of relapse and improves long-term chances for recovery. Using medications like Naltrexone, doctors and therapists are able to help opioid withdrawal. Basically, MAT offers patients the chance to taper off the amount of opioids in their system. Naltrexone and, to a lesser extent, Buprenorphine, are both opioid blockers and act to block the effects of powerful opioid drugs. Even if the patient were to use an opioid, they would not feel the effects as strongly. MAT for opioid dependence helps patients manage the cravings that occur during the initial stages of withdrawal. 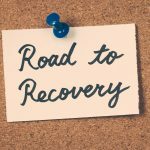 Can Counseling Help in Recovery? Health care professionals say that counseling can play a pivotal role in a patient’s recovery from opioid addiction. Every day, more than 500 people try heroin for the first time. What drives them to start using and abusing prescription pain medications and illegal drugs? The reason that therapy can help a recovering patient is that it addresses the issues that led to addiction in the first place. Patients can be “triggered” by stressful circumstances, friends, and family, or proximity to illegal drugs. Part of any long-term recovery from opioid abuse is learning to spot the signs of drug abuse and to identify the reasons that people begin to use the drugs in the first place. Many people start using prescription opioids for pain management. The problem starts, however, when they ramp up the number of pills they’re taking or start hiding their drug abuse from their family. If you think that a loved one has an issue with opioids, contact a counselor or a treatment facility. They should be able to help you schedule an intervention. The opioid epidemic raging in the United States affects people from every ethnic group and income bracket. Teens, who are very susceptible to peer pressure, are at high risk for addiction. Keep in mind that your friends or family members are not going to want to attend an inpatient or outpatient treatment facility. Most addicts don’t want any help at all, or at least that’s what they say. While parents can commit their children to a treatment facility, you may not have the same options with older adults. Don’t get discouraged if they don’t want to get help, or if they’ve tried to quit before. Quitting cold turkey isn’t for everyone. We believe that counseling and medication-assisted recovery is much more effective. The important part is to never give up. Your friends and family need your help to get through their addiction. They may not admit it, but they rely on a life-threatening drug and need help to get it out of their systems. Contact us and we can help you get started. If you’re having a problem with opioids and you feel like your life is falling apart, take a minute and drop us a line. We’re happy to hear from you and we want to help.